Потник за жени. Удобство и свободно движение. Babolat. Умален модел - XS от този потник става за дете 10-12 години или 152 см. височина също. 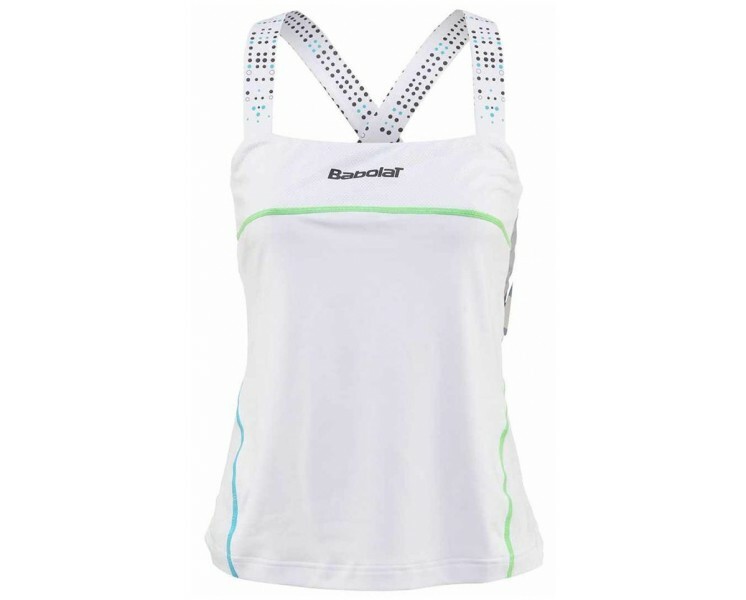 The technical fabric with Fiber Dry-microfibers chosen for the Babolat collection is light and soft to the touch. It dries ultra fast so you can enjoy long lasting comfort. Easy to care for, it allows for the most intense wear and tear from practice to competition.